A colored woman in this city, named Martha, who formerly belong-ed to Mrs. Dolly Camps of Elkton, Tennessee, desires information of her children. 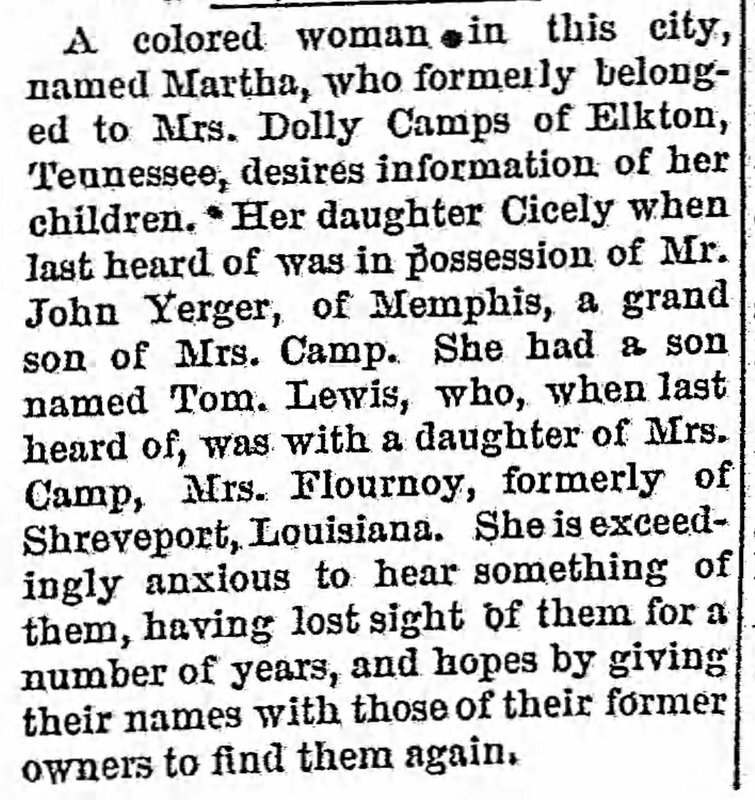 Her daughter Cicely when last heard of was in possession of Mr. John Yerger, of Memphis, a grand son of Mrs. Camp. She had a son named Tom. Lewis, who, when last heard of, was with a daughter of Mrs. Camp, Mrs. Flournoy, formerly of Shreveport, Louisiana. She is exceed-ingly anxious to hear something of them, having lost sight of them for a number of years, and hopes by giving their names with those of their former owners to find them again.